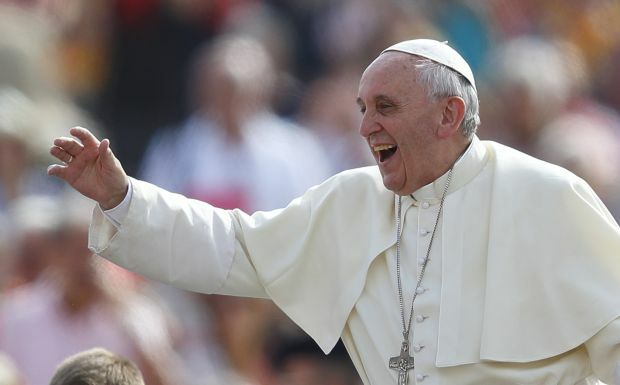 Download Pope Francis’ New Exhortation “Evangelii Gaudium (The Joy of the Gospel)”! An apostolic exhortation is simply a teaching document on a particular theme to encourage and challenge people. It’s meant to inspire Catholics to action rather than define Church doctrine. Also, popes usually issue them in response to a synod of bishops, which is a gathering of Church leaders focused on particular theme. Pope Francis has written Evangelii Gaudium in response to the October 2012 Synod on the New Evangelization for the Transmission of the Christian Faith. Interestingly, the very first apostolic exhortation was published in 1975 by Pope Paul VI after the 1974 synod on evangelization. Titled Evangelii Nuntiandi (Evangelization in the Modern World), the document aimed to define evangelization and explore how to carry it out in today’s increasingly secular world. Although the document bore Pope Paul VI’s signature, large chunks were written by a young Polish bishop, Karol Wojtyla, who would later become Pope John Paul II. As we all know, that same Pope John Paul would instigate the New Evangelization, a springtime of faith and the topic of the 2012 synod to which Pope Francis devotes his exhortation. It’s beautiful to see this harmony among popes and how this new exhortation fits neatly into the teaching history of the Church. Speaking of Pope Paul VI, to better understand Evangelii Gaudium (The Joy of the Gospel) you might check out Pope Paul’s 1975 encyclical Gaudete In Domino (On Christian Joy). He explores a wide variety of different types of joy and shows how to cultivate joy in our own lives. Now, I ran into some roadblocks last time when trying to make the Pope’s work available in multiple digital formats, so this time I’ll simply link to documents on the Vatican’s official website. Enjoy! I don’t see the text on the vatican’s website, just the heading. This will be an interesting read.